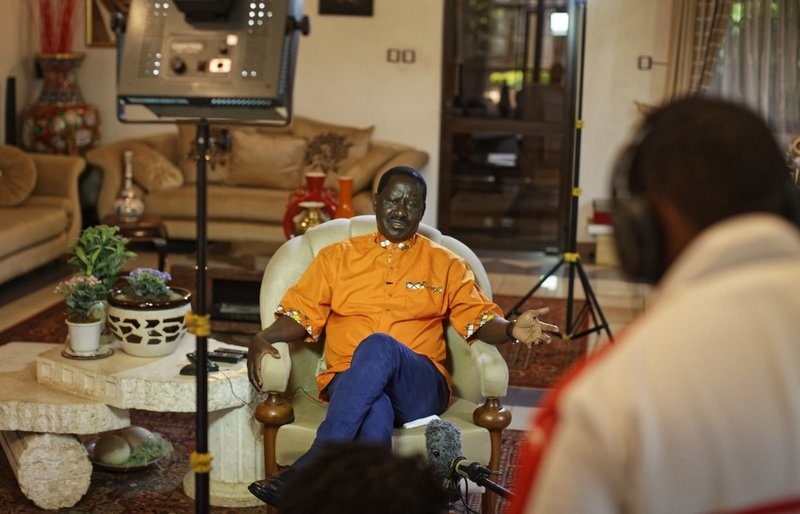 Friday, December 28, 2018-A private jet that landed at Kisumu International Airport left tongues wagging when reports emerged that it is assigned to Former Prime Minister Raila Odinga by African Union (AU), after he was appointed the High Representative for Infrastructure Development in Africa. 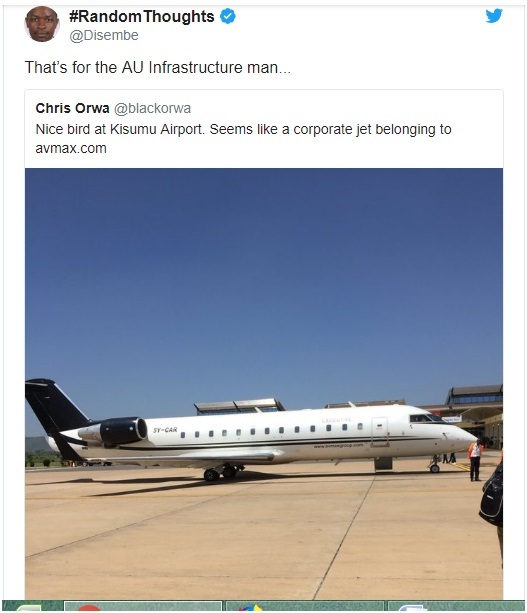 Kenyans on social media have linked the luxurious jet which is owned by American aviation company Avmax Group to Raila Odinga. 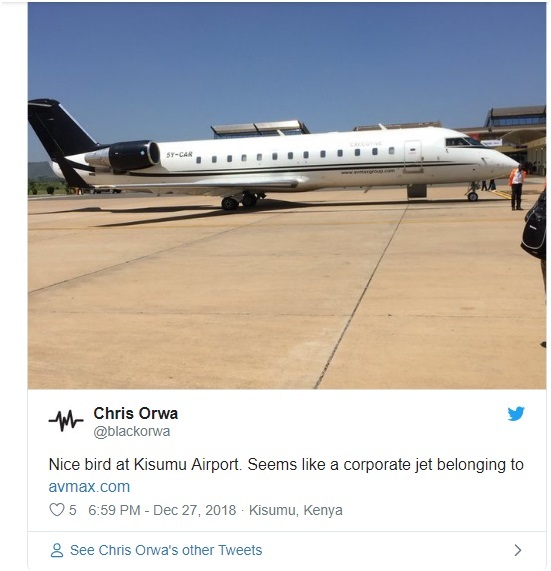 Chris Orwa took a photo of the jet and posted it on social media and ODM’s blogger, Seth Odongo alias Dikembe Disembe, alleged that this is the jet that was assigned by AU to Raila Odinga to facilitate his movement. 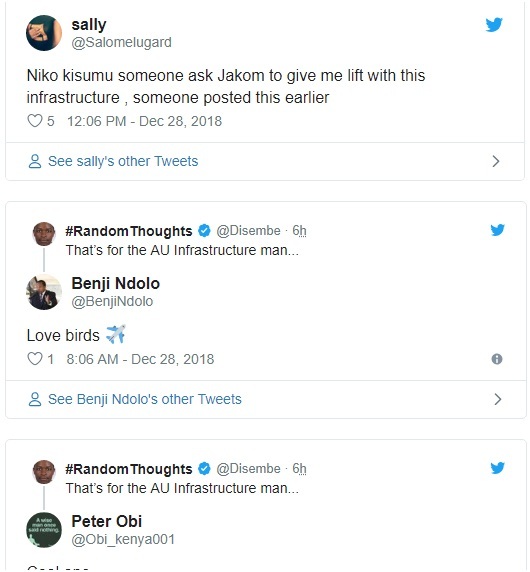 Kenyans were fascinated by Raila’s alleged private jet assigned to him by African Union and they even begged for a lift. it's drop from the sky and all the zombies problems solved for good.